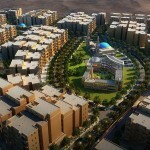 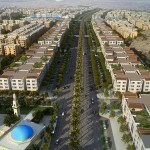 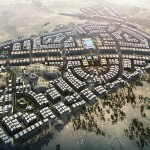 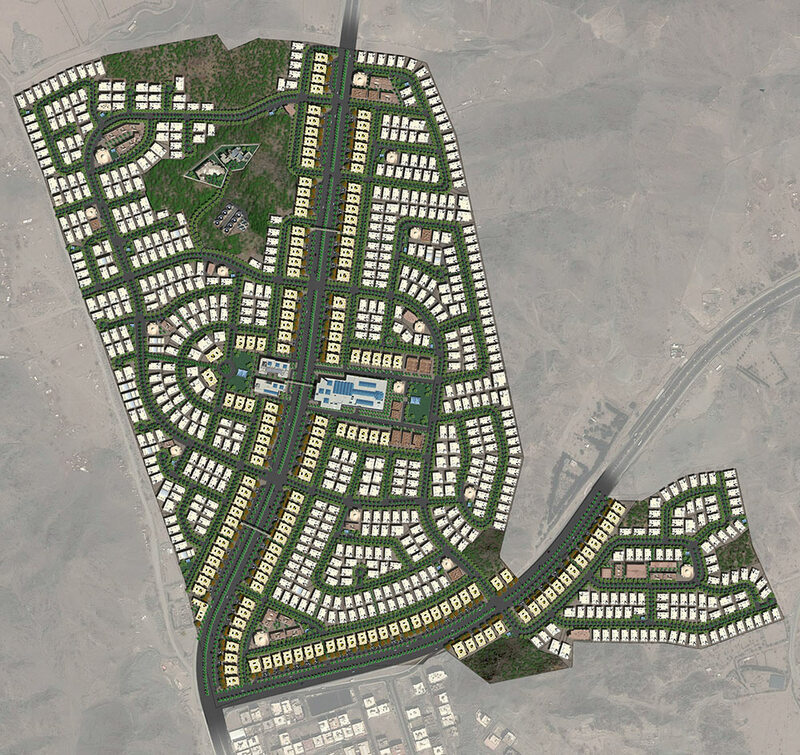 The Planning Studio prepared a master plan for a 75 hectare (186 acres) residential project in Makkah, Saudi Arabia. 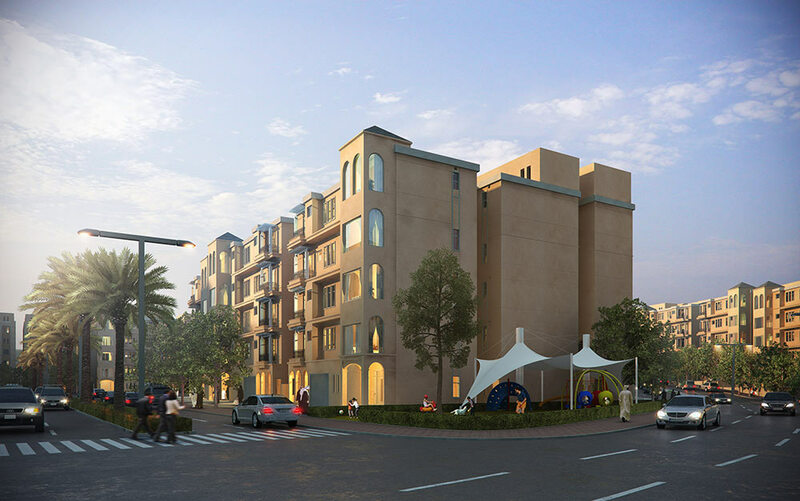 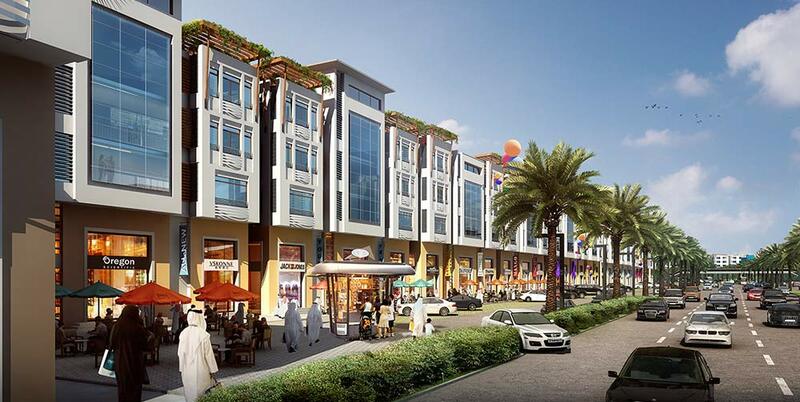 Umm Al Jood is primarily a residential development consisting of four and five story apartment building. 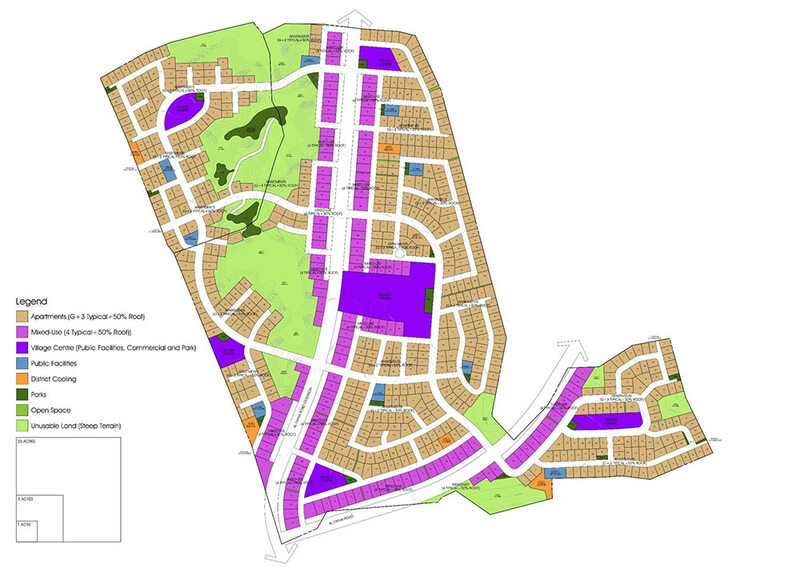 In total, it consisted of 667 apartment plots and a total of 498,916 square meters of total residential plot area. 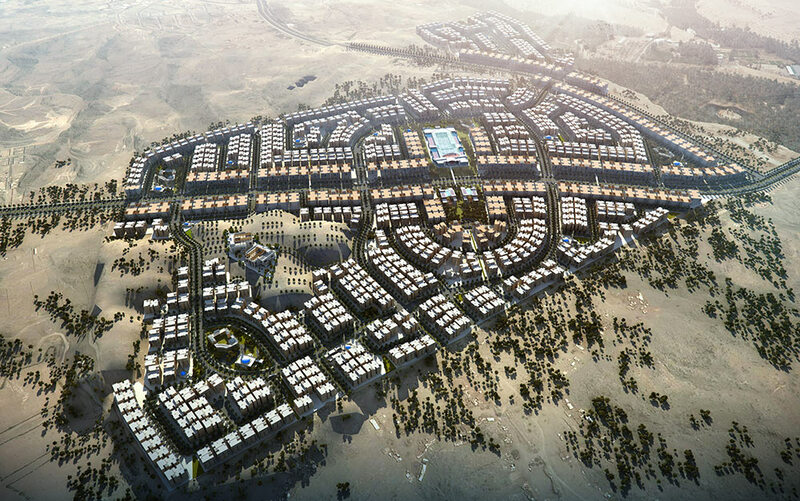 It will also contain 105,900 square meters of commercial space and 176,415 square meters of mixed-use land area, which provided community facilities such as school and public safety uses. 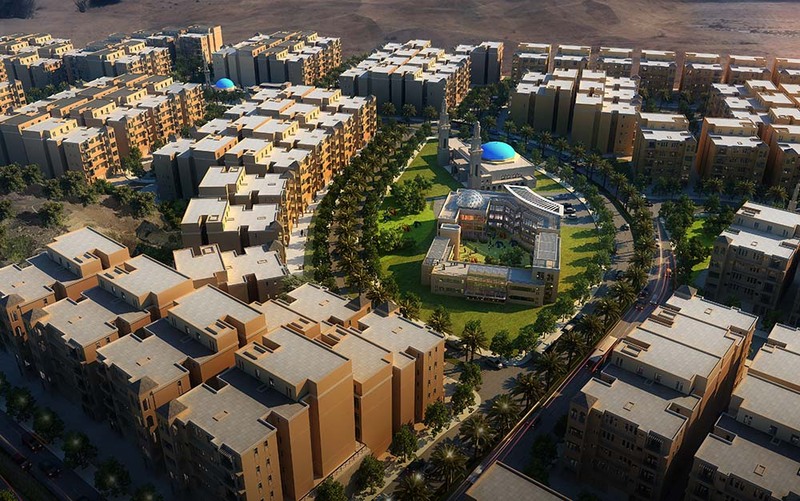 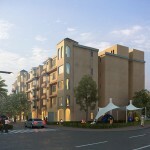 There is also a network of roads, parks and open space planned throughout the development. 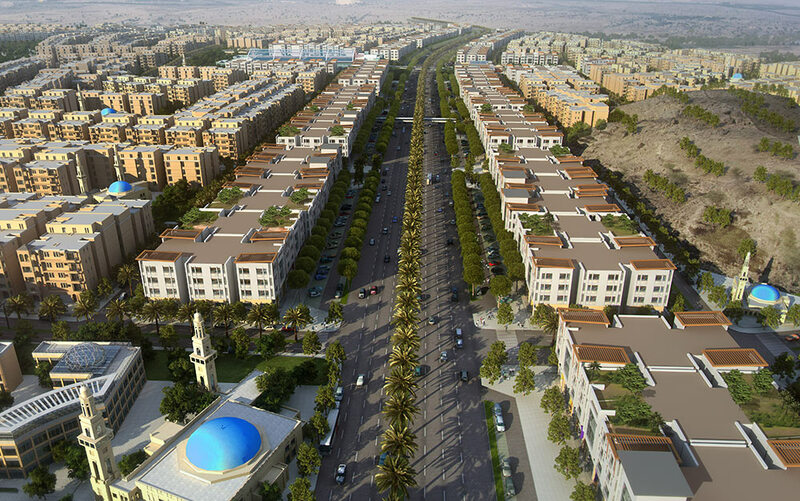 The site consisted of three land parcels separated by two main roads which serviced the city of Makkah. 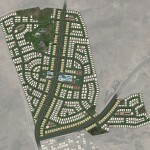 The existing parcels were devoid of vegetation. 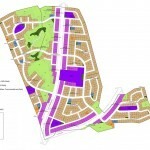 A large portion of the land was in fairly steep slopes which were grade significantly to allow the development to occur.